Somehow, out of the three of us, I seem to be the only one in my house that likes sweet potato. 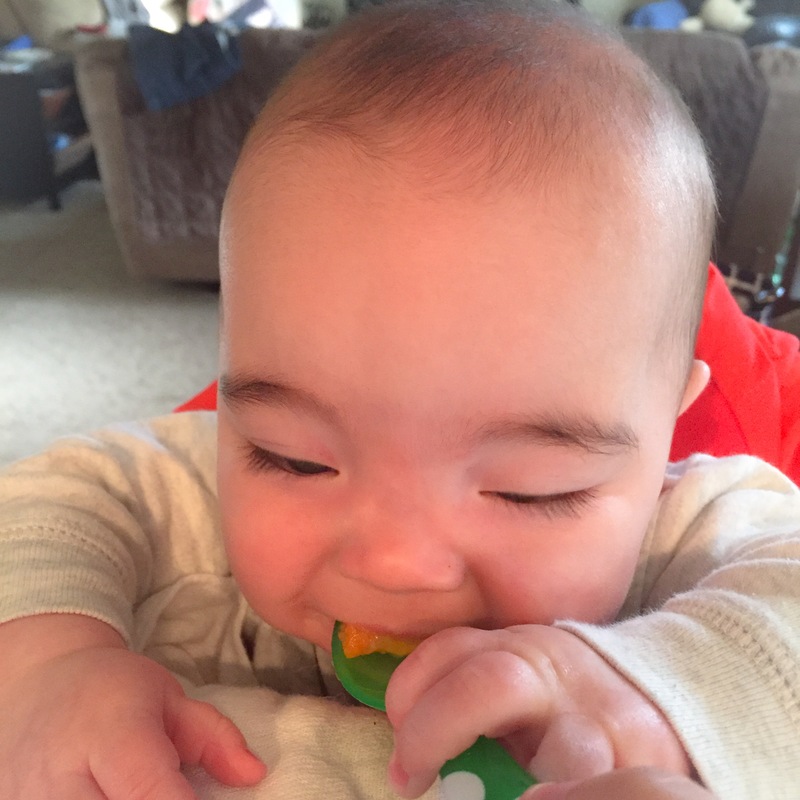 The good news is that means more sweet potato for me. The bad news is that it also usually means I have leftovers. 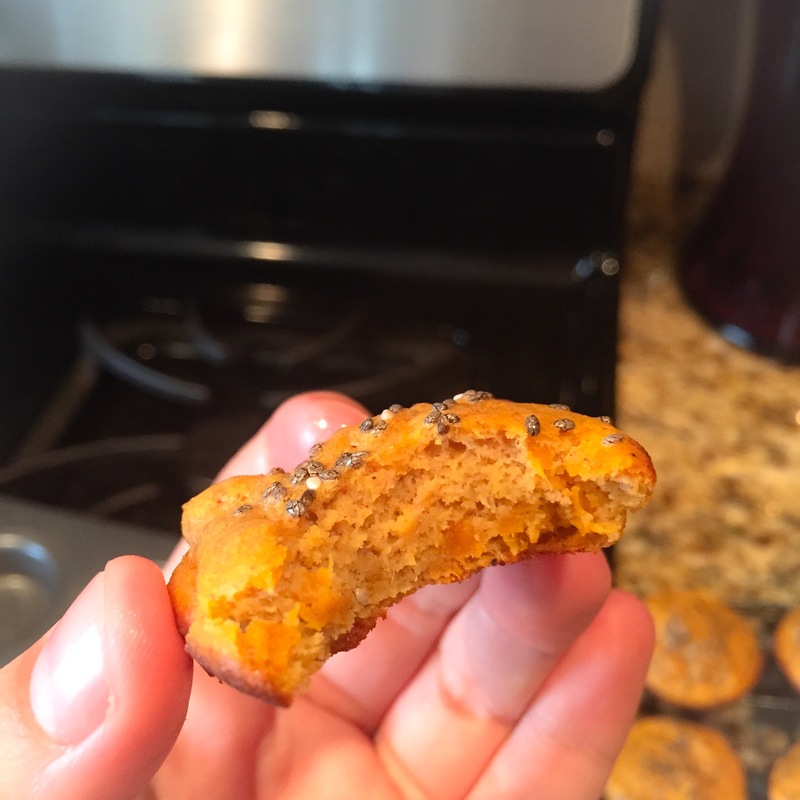 So when I found a delicious looking recipe for Sweet Potato Banana Bites on The Lean Green Bean (a great blog from a fellow mom and healthy eater! ), I figured it would be a perfect use for the sweet potato sitting in my fridge! I mixed them up this morning in less than 5 minutes (while entertaining the baby! That is skill! ), and popped them in the oven before the Little Man’s first nap. 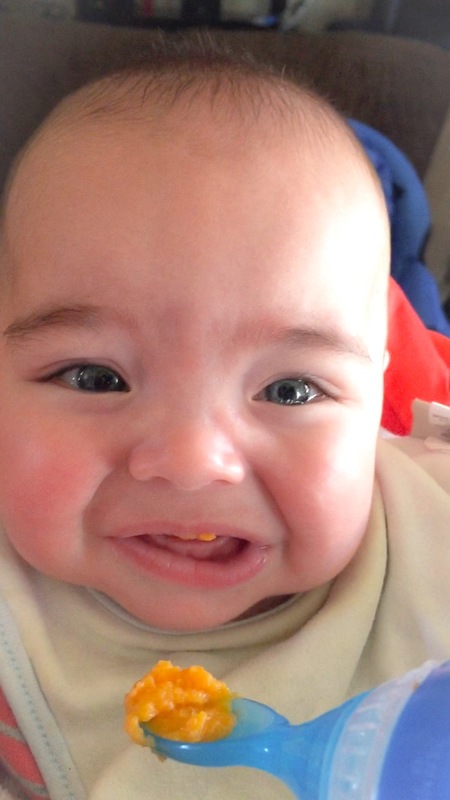 For the record, while sweet potato by itself causes the sad face, sweet potato + banana is apparently baby approved! Verdict: Quick and delicious! 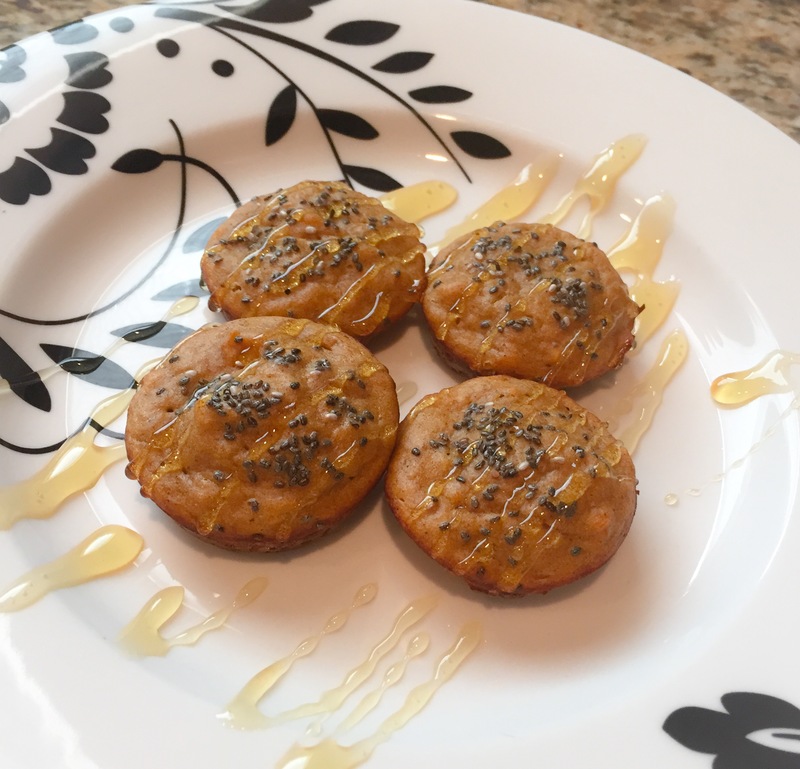 I drizzled a few with honey and enjoyed them for a pre-workout snack. The Lean Green Bean put dark chocolate in hers, which I think would have been AMAZING, but since my challenge is working on cutting out added sugar, I went with chia seeds for some texture. 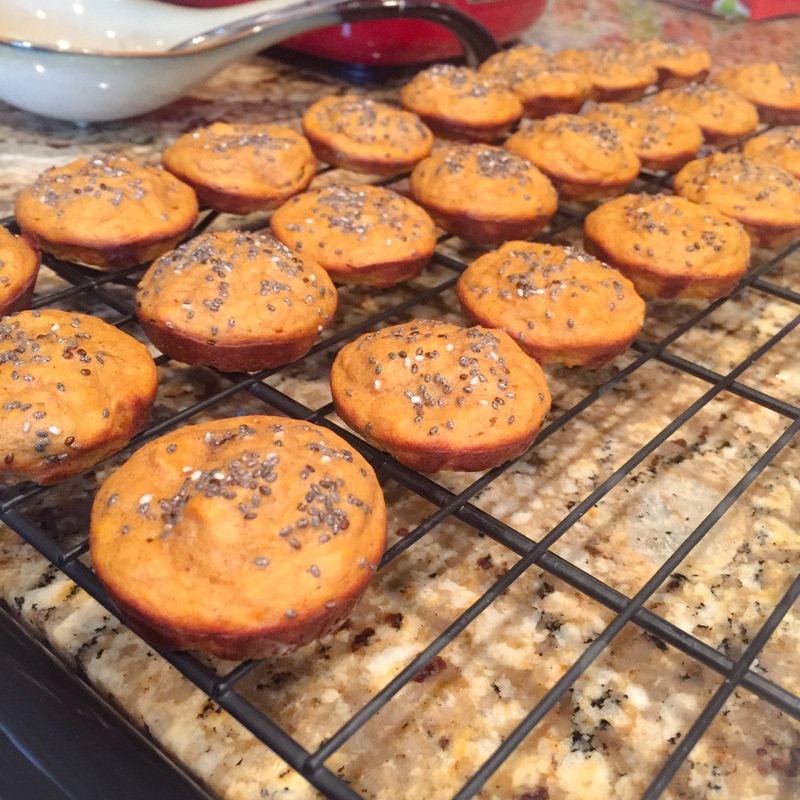 I think they are better with a little bit of crunch, so mixing in chopped nuts or chia seeds is a good option. Next time I may try them with crunchy peanut butter to get the same effect! The original recipe makes 14 mini muffins, but I have a weird almost OCD thing about not using all the muffin slots, so I made smaller muffins and got 24 out of the recipe – each was a perfect two-bite treat! Preheat oven to 375 degrees. Mash sweet potato and banana together until smooth. Add in nut butter, eggs, and cinnamon, and whisk to combine. Spoon into greased mini-muffin tray, and bake – 18 minutes for 14 muffins, or 14 minutes for 24 muffins. Enjoy! And check out The Lean Green Bean for more great recipes!